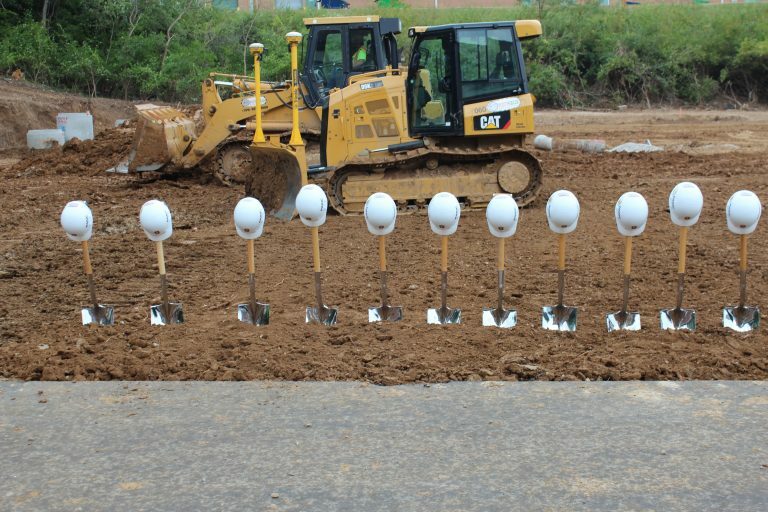 Lutheran Senior Services (LSS) broke ground today on the $5.8 million construction of 36 new affordable housing apartments at its 62-unit Dunn Road Manor affordable living community at 3399 Dunn Road in Florissant. The new apartments will be located in a new wing added to the existing building that provides direct access to a variety of health-related and social services including a shared commercial kitchen, computer lab with internet access, library, parish nurse, chaplaincy services, multipurpose room and a unique tele-health kiosk already enjoyed by current Dunn Road Manor residents. 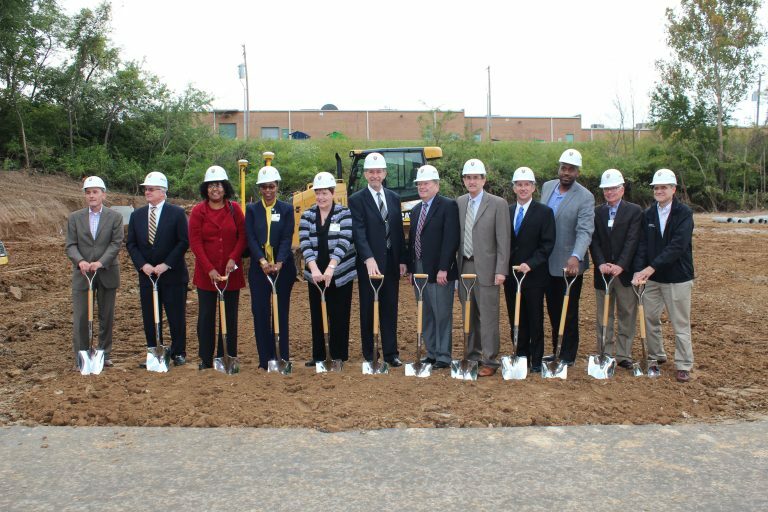 When completed, Dunn Road Manor will provide independent living for 98 residents with an average age of 78 and average annual income of $11,000. The project will utilize the Low-Income Housing Tax Credits (LIHTC) offered by the Missouri Housing Development Commission. In 2012, LSS opened its first LIHTC project at the Village at Mackenzie Place in Affton. LSS currently provides decent, safe and affordable housing to nearly 800 very low-income older adults in the St. Louis area as part of its mission to help older adults live life to the fullest. PARIC, Corporation was established in 1979 and is currently one of the largest privately held, St. Louis-based, companies and ranked nationally in the ENR Top 200. As a premier General Contractor, Construction Manager, and Design/Builder PARIC provides a complete range of construction services, specializing in commercial, interiors, academic, healthcare, historic renovation, hospitality and entertainment, senior living, and multi-family. We are always on the forefront of construction advancements, utilizing the latest in virtual design and construction technology. PARIC partners with our clients to help build their vision by providing a level of quality and service that we believe is unmatched. Every day, PARIC is focused on Building Excellence to Move our Community Forward. For more information about PARIC visit www.facebook.com/ParicCorporation, or follow them on Twitter at @ParicCorp. Lutheran Senior Services (LSS) is a mission-driven, not-for-profit network that specializes in housing, care, and supportive services for older adults 62+. With 21 locations in Missouri and Illinois, LSS serves more than 11,000 seniors a year through options that include Senior Living Communities offering all levels of care, Affordable Housing for those with limited incomes, and Home & Community Based Services. LSS builds upon 155+ years of excellence in living out its Christian mission of Older Adults Living Life to the Fullest. For more information about LSS and Dunn Road Manor visit www.lssliving.org.